Dr. Kasimatis’ is experienced in a number of dental procedures, each customized to help patients achieve their ideal smile. Some of our multi-faceted treatments include: - Cosmetic Restorations, including crowns, bridges, denture, implant-supported dentures, Lumineers®, and tooth bonding - Tooth and gum treatment will yield cosmetic improvement. - Conservative root canal therapy designed to save as much tooth as possible - Extractions for teeth that need removal - Dental implant placement via computer guided technology - Implant preparation, including bone grafts and sinus lifts - Orthodontic options including Invisalign®, ClearCorrect®, Ortho Clear and Simpli5 to improve your smile - Smile makeovers that may include full mouth reconstruction (rehabilitation) to treat various oral health problems in a well-constructed and organized treatment plan to yield best results in minimal time spent in the dentist chair. In addition to our dental care and treatments, we proudly offer out patients Botox® and Juvederm® treatments to complete your beautiful smile. Dr. Kasimatis will recreate your best smile to help you boost confidence in your daily life. Really feel like he listened to everything I said gave me options and referrals on where else to go to make sure I am getting what is right for me and not rushing into anything. Haven’t gotten any work done yetbut just based on the visit, I trust he will do everything he can to make sure I am happy with my teeth and smile. A wonderful experience!! Friendly and professional; made me feel comfortable. Explained all aspects involved in treatment. Would highly recommend this dentist!! I was very impressed and will continue my treatment with him. Dr. K is a great dentist and I would definitely recommend him to family and friends. 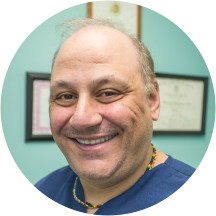 Dr. Kosmas Kasimatis, DMD has no appointments on Zocdoc right now.